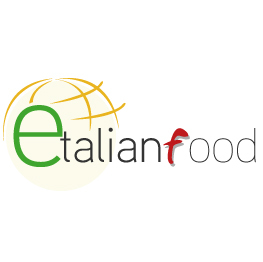 Etalian food delivers directly to your home authentic Artisan Dried Pasta of the highest quality. Where to buy Italian Dried Pasta online? We offer a large range of pasta selected among the best Italian brands such as Gragnano Pasta, Grano Armando Pasta, Pasta Made with Senatore Cappelli Durum Wheat, De Cecco and Barilla. Our selection is based on two fundamental aspects: quality of the product and variety of the shapes. Etalian food proposes you only pasta made of 100% durum wheat flour and selects for you a large range of shapes. Among our products you will find the post popular shapes of pasta, like penne and spaghetti. Other shapes are inspired by the traditional pasta making process from the housewives of the past, like Tagliatelle, Gnocchetti sardi and Chitarrine abruzzesi. We also have the most innovative and creative types of pasta, like Galletti, Ruote and the cute little special pasta from the Piccolini Barilla collection. Together with dried durum wheat flour pasta, you will find many appetizing options inspired to the typical Italian gastronomy, such as dried egg pasta and dried pasta with fillings. Etalian food also provides a large range of rise, differently flavoured risottos and cereal soups. They are the most nutritious and delicious alternatives that you should not miss out of.